Cooked organic chickpeas with no added salt. Nutrient rich, with a robust yet creamy texture, chickpeas are a staple of many Indian, Mediterranean and Middle Eastern dishes with good reason. They can star in hummus and falafels, or play a supporting role in salads, curries and stews. Make classic hummus or falafels. Unopened, tinned chickpeas can be stored indefinitely. 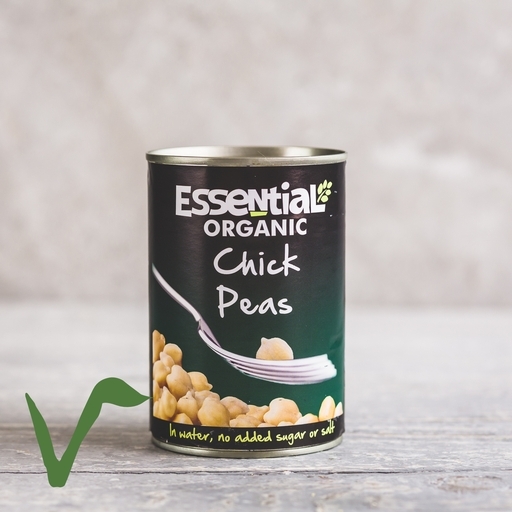 Once opened, don’t keep your chickpeas in the tin – turn them out into a covered bowl and they’ll last for 3 or 4 days in the fridge. They can also be frozen, though texture becomes mushier when thawed, so they’ll be better for dips than adding to salads.